The NASCAR K&N Pro Series schedule annually features a wide mix of venues – from historic bullrings and half-mile short tracks to fast speedways and technical road-courses – designed to provide a platform for the sport’s top rising young talent to make their impact. 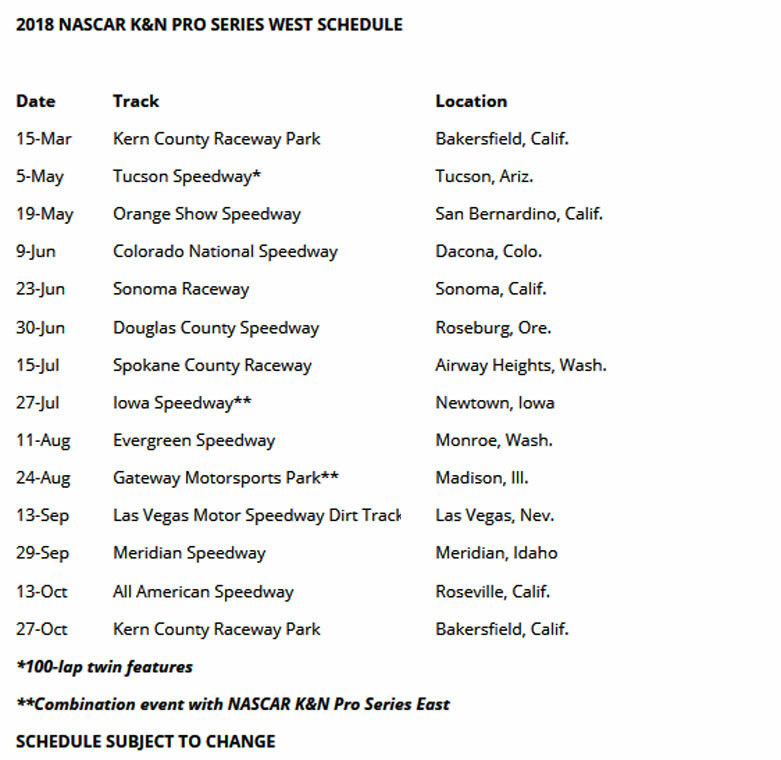 With the announcement of the 2018 NASCAR K&N Pro Series West schedule, add one more variable: Dirt. Next year’s 15-race schedule will include a stop on Thursday, Sept 13 to the Las Vegas Motor Speedway Dirt Track. The race will be part of the weekend that kicks off the 2018 playoffs for NASCAR’s three national series at the Las Vegas Motor Speedway, and the half-mile clay oval promises to further test the series’ stars. 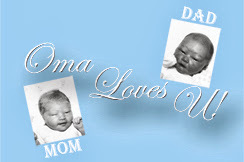 It will be the series’ first race on dirt since 1979 at Ascot Park in Gardena, Calif. The NASCAR K&N Pro Series West opens the season and crowns the champion at Kern County Raceway Park, the state-of-the-art, high speed half-mile that has been a staple of the series since it opened in 2013. 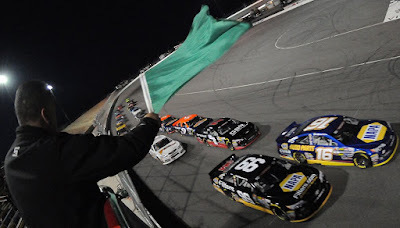 The green flag on 2018 will be Thursday, March 15 and will be a prelude to the Monster Energy NASCAR Cup Series / NASCAR XFINITY Series weekend at Auto Club Speedway in Fontana, Calif. The champion will be crowned on Saturday, Oct. 27. The NASCAR K&N Pro Series will have two combination events that feature the East and West together. The first will be at the traditional crossover event at Iowa Speedway on Friday, July 27, as part of the NASCAR XFINITY Series weekend. The second will be a brand-new event at Illinois’ Gateway Motorsports Park on Friday, Aug. 24. 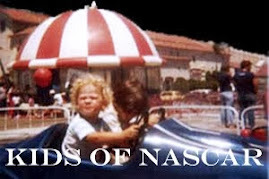 Last year, NASCAR announced changes to the scoring format for the two combination races, allowing drivers to compete for both series’ championships, and Gilliland came within eight points of accomplishing that historic feat. 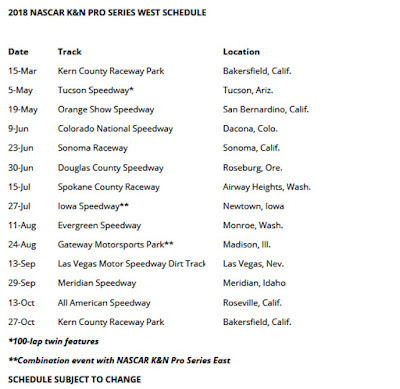 • The K&N Pro Series West will run twin 100-lap championship events at Tucson Speedway. The .375-mile track will host the series on Saturday, May 5. • Success on short tracks will again go a long way toward deciding the tile. 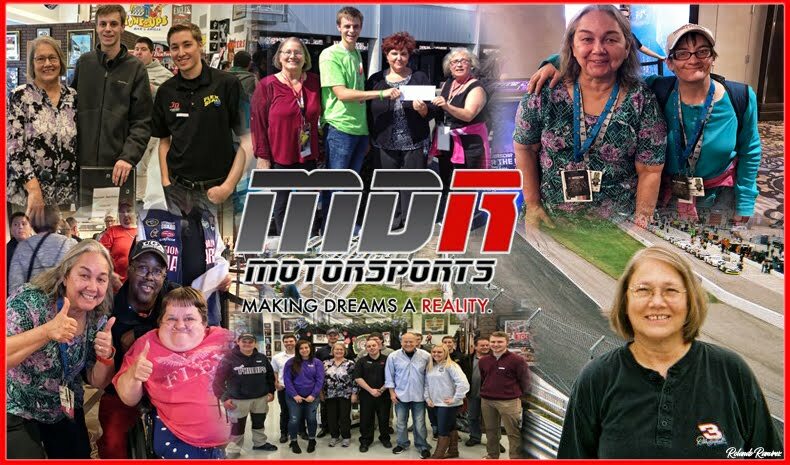 In addition to Tucson, the series will run at the quarter-mile Orange Show Speedway in San Bernardino, California, on Saturday, May 19; Colorado National Speedway (.375-mile) in Erie, Colorado, on Saturday, June 9; Douglas County Speedway (.375-mile) in Roseburg, Oregon on Saturday, June 30; Idaho’s Meridian Speedway (quarter-mile) on Saturday, Sept. 29; and All American Speedway (third-mile) in Roseville, California, on Saturday, Oct. 13. • Evergreen Speedway, which has hosted 54 West races since 1967, will anchor the summer swing between Iowa and Gateway. The series visits the .625-mile track on Saturday, Aug. 11. The series will make its first trip of the season to Washington state on Sunday, July 15 at the half-mile Spokane County Raceway. • The NASCAR K&N Pro Series West will again an integral part of the Monster Energy NASCAR Cup Series road-course weekend at California’s Sonoma Raceway with its race on Saturday, June 23. The NASCAR K&N Pro Series broadcast schedule on NBCSN will be announced at a later date.